Learn how to paint with thread! 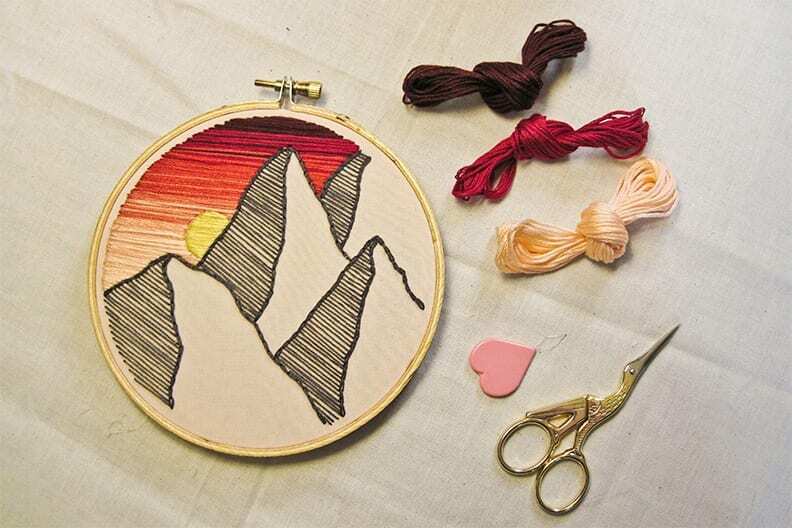 Together we’ll stitch up a beautiful mountain sunset hoop to hang on your wall. No experience is required. In this short session you’ll learn some basic stitches to get a good start on your design, then go home with detailed instructions and materials for successful completion. Everyone will be working on their own version of the mountain scene pictured. Impact: Small fabric scraps are diverted from the waste stream to create beautiful wall hangings. Participant and Materials Requirements: Please bring scissors, a pencil, and a 7-inch square piece of woven (not stretchy!) fabric. Light colors work best for tracing your pattern. Participants may purchase from Ragfinery prior to workshop. Hoops, needles, thread, needle threaders, and pattern will be provided. 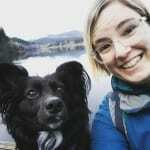 About the Instructor: Sarah Francis is a geology teacher by day and an embroidery artist by night. She is particularly inspired by designs that incorporate strange and mysterious creatures.